It is said that music can calm the savage beast, but can it help make drug and alcohol treatment in Florida rehab more effective? Researchers around the world believe so, and maybe you should, too. The core benefit of music therapy appears to be communication. Some believe in its ability to help people express things that they cannot or are not quite ready to put into words. In treatment, communication is vital to real, lasting recovery. 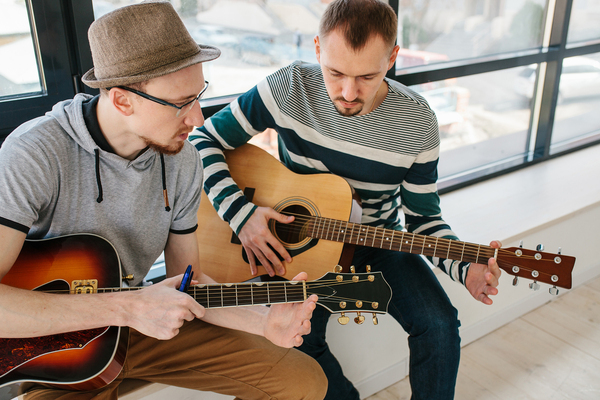 Here are four ways music therapy can help people in Florida succeed in addiction treatment. Music therapy does not exclude anyone. You do not need musical talent to reap rewards, and there are many types of music therapy. You might play an instrument, sing, create something new, or just listen. Some programs integrate dance, which allows participants to put into motion the ways that the music makes them feel. There is no single right or wrong way to participate in music therapy. The point is to allow music to affect you and communicate what you feel. Avoiding treatment altogether is a common concern with drug and alcohol addiction. The reasons vary but may include embarrassment, fear, or a lack of help managing life commitments. However, in treatment, patients might also resist the help that is in front of them. Music therapy is shown to be a motivational aid that helps addicted people to overcome barriers to effective treatment. In a study by the University of Georgia, researchers found that music therapy helps “provides a way to motivate patients to receive treatment.” Therapies might include games, songwriting, improvisation, or simply listening. Composing something new helps inspire introspection. Receptive or listening therapy helps reduce anxiety and facilitates communication. Recreative or singing and playing music that someone else composed and arranged helps develop skill, build confidence, and promotes healthy social interaction. Self-awareness, verbal and non-verbal communication, problem-solving, coping skills, relaxation, and positive mood changes are also observed in music therapy patients. She said: “This paper shows that music is inextricably linked with our deepest reward systems.” Dopamine is a good mood neurotransmitter, and music can trigger its release in the brain. That is important for substance abuse treatment. Addictive substances create a synthetic dopamine response, but an unhealthy one. Music can cause the release of good-mood chemicals without the need for drugs or alcohol. Music therapy alone probably cannot inspire sobriety or support it for the long term. However, as part of a holistic Florida rehab treatment approach, it can help you on your journey. Music helps make expression and communication easier. That is especially important in treatment when openness and trust are just being built. If you are suffering from an addiction, there are many therapeutic choices to explore. Together, they build a program that is right for you. Contact us and learn more about the treatment options available to you.